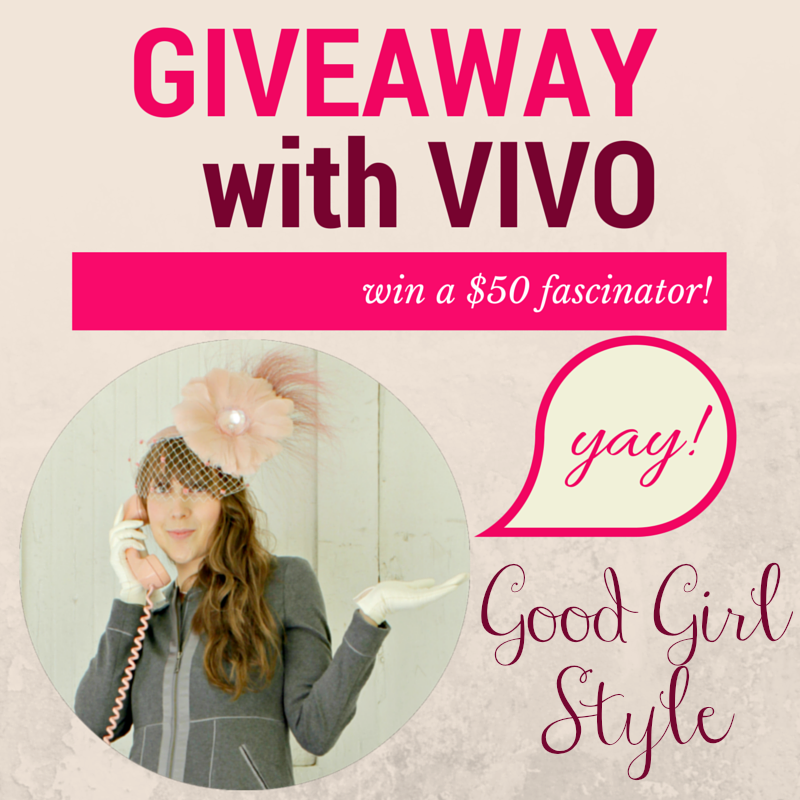 I'm so thrilled that Vivo is letting me give away a fascinator to one of my lovely readers! This is the perfect opportunity for entree into the fun world of wearing hats and fascinators! I think the hot pink one is my most-favorite. How about you? I'm so excited for this opportunity for another lovely lady to wear a Vivo fascinator. Entry closes at midnight EST on Monday, October 13th.